It’s that time again – turkey and a host of other wonderful foods, gatherings with family and friends, and the Christian obligation to give thanks to God. Obligation? Well, yes, to be honest, sometimes taking the time to give thanks can be a bother, especially when someone suggests it right as the food is put on the table piping hot. Right as your mouth is dripping with expectation, someone plays the spiritual card and goes into a long dissertation on being thankful, which leads into a long prayer. And the mashed potatoes are getting colder by the minute. I don’t mean to be sacrilegious, but let’s be frank, even for those who love the LORD, thanking God at Thanksgiving can feel more obligatory than spontaneous, more ritual than real. The thing is, we know that we have lots to thank God for. Our short memories and our five senses scream out examples of God’s blessings that we could name ad nauseum. So why aren’t we more thankful at Thanksgiving? 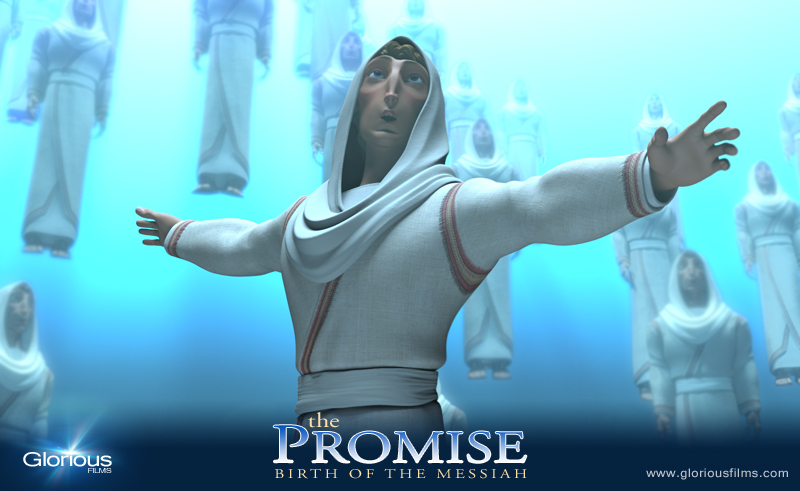 For the last two years I’ve been immersed in the story of the first Christmas in the Gospel of Luke as we have brought this story to life in the animated musical The Promise: Birth of the Messiah. Luke’s story encompasses just two chapters in Scripture. The thing that has surprised me about these two chapters is the amount of praise that leaps off the lips of the characters in the story. This story about Christmas is a perfect prototype for a Thanksgiving celebration. For instance, Mary exclaims, “He who is mighty has done great things for me, and holy is his name” (Luke 1:49). Zechariah says, “Blessed be the Lord God of Israel, for he has visited and redeemed his people” (Luke 1:68). And it is said of Anna that after seeing the infant Jesus, she began to “give thanks to God and to speak of him to all who were waiting for the redemption of Jerusalem” (Luke 2:38). Add to this the praises Simeon, Elizabeth and a host of others. 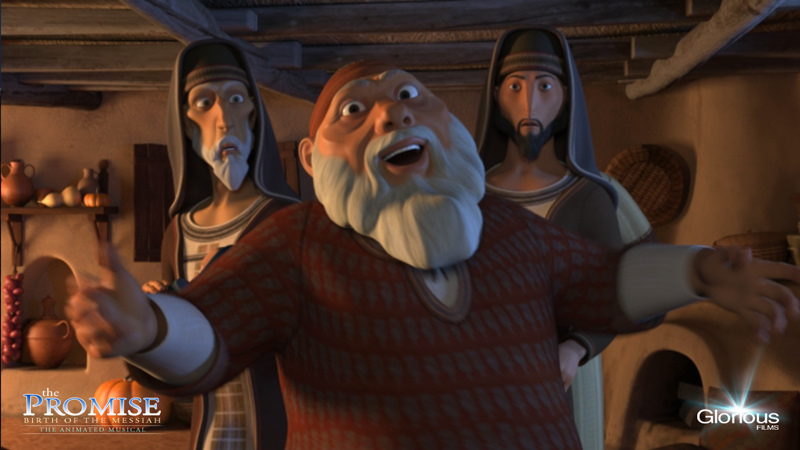 You may be thinking, “of course these biblical characters were joyful. 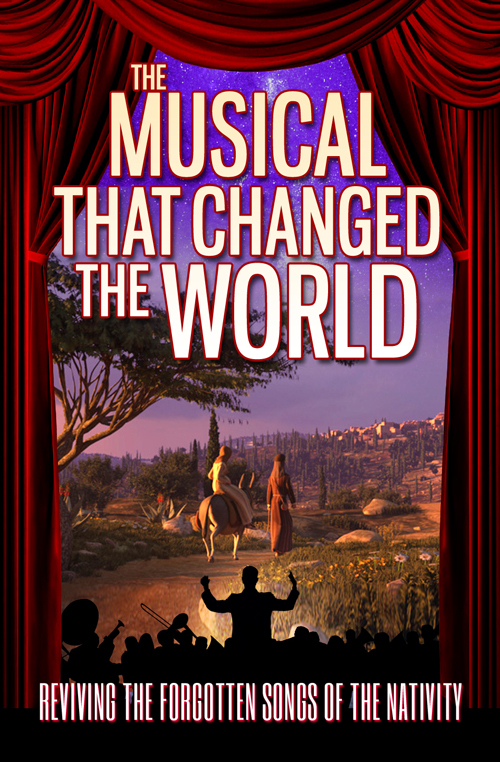 They were honored with front-row seats to the biggest party ever staged on earth – the Advent of the Messiah, and they were each blessed greatly.” That is certainly true! But upon deeper inspection, the thankful hearts of these folks did not begin with their good fortune, but began long before. And in fact, for all the worldly blessings they received from God, most of them endured much more worldly suffering due to the role they were asked to play in His Advent. One could say that their blessedness was a double-edged sword, and indeed, Simeon used a similar metaphor to inform Mary that tremendous pain was in her future, saying “a sword will pierce through your own soul” (Luke 2:35). Nor would their earthly circumstances improve in the future after Jesus’ birth. Joseph passed away leaving Mary alone to navigate the rejection and crucifixion of her son. Zechariah and Elizabeth, if still alive when their son John the Baptist ministered, endured his denunciation by the religious authorities and horrendous beheading by Herod. Anna likely died shortly after seeing Jesus, passing from this world as a poor widow. So, the spirit of thankfulness in these characters was not based on circumstances before the coming of Jesus, and certainly not afterward. If not, then why were they thankful? The answer that I arrived at after working with this story for over two years is this: they had the right eyes. Eyes? Yes, eyes. It appears that each of these persons had developed eyes to see beyond this world, to see into the spiritual realm of God, to see the things that matter to God, to see things that matter period. The question is, as we prepare to sit down before our turkey and mashed potatoes and take a moment to be thankful (or not), how did they gain such a God-centered worldview? Where did the fountain of thankfulness well up from? Certainly the first answer is that faith is a gift from God (Eph. 2:8-9). But aside from this theological reality, what means did God use to deliver or at least develop this faith in their lives? The facts of the story shocked me. The vehicle God used was PAIN. What a surprising thing to find in the midst of the joyful Christmas story! The faith and other-worldly thankfulness of the biblical characters was a product of great difficulties which stripped away any false hopes of peace, joy or hope based on the things of this world. God’s blessing of pain – from their poverty and rejection by others – helped them to yearn for things beyond this world, to search for realities beyond what they could see and touch. With all worldly hope removed, they found the reality of the God of Scripture, and clung to Him and His promises as their ultimate reality. It would be fun to have Mary, Zechariah, or Anna at Thanksgiving dinner. I can just imagine their prayers. They would not only thank God for all of His material blessings and His undeserved mercies: for their jobs, their families, or their health. I am pretty certain that they would praise him for the incredibly difficult circumstances of their lives that taught them their most important lesson – that He is all they need. He is their salvation, their peace, their hope and joy. Thanking God for the pain that gives us eyes of faith never becomes obligatory, because each painful circumstance helps us to appreciate that which is eternal, and to let go of that which is passing away. As Mary said, “My soul magnifies the Lord, and my spirit rejoices in God my Savior. . . His mercy is for those who fear him from generation to generation” (ESV Luke 1:46-47,50). Okay, now pass the mashed potatoes. Do you believe in angels? If so, what do you think angels are like? What do they do? What do they look like? Some time ago these questions got much more personal for me when I was given the role of the Angel Gabriel in The Promise (more about that in a moment). But you don’t have to play an angel in a movie to wonder about these heavenly beings. Questions about angels are pretty relevant in a culture where many people completely reject these supernatural beings on the one hand, while others accept all manner of wild myths and folklore on the other. To believe the nativity story of Jesus is to believe in angels. The opening acts of Luke’s and Matthew’s gospels record angels everywhere: speaking to Zechariah in the temple, announcing the coming Messiah to Mary, announcing Jesus’ birth to the shepherds and speaking to Joseph three times in dreams (one has to wonder, too, if Simeon and the Magi don’t receive their messages from God through an angel?). Without God’s heavenly messengers, the story simply could not have happened as the New Testament tells it. How else would Mary and Elizabeth have known the significance of the babies they carried? How would Joseph have been prevented from divorcing Mary, or the lowly shepherds informed of Jesus’ birth? Without angelic messengers, it seems like these people would have lacked a lot of information – and a great deal of confirmation – that the angels brought to them. My own knowledge of angels was recently ramped up considerably as my personal journey took an “angelic” turn. 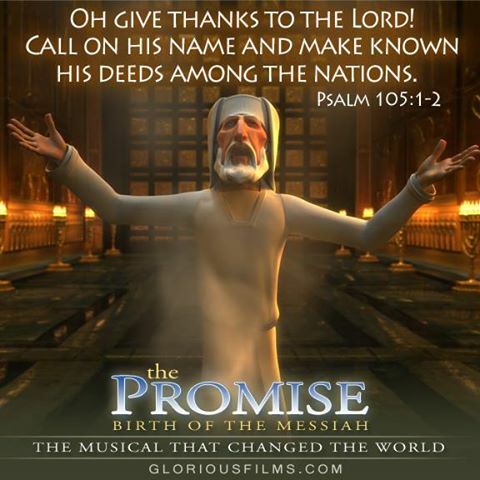 One day my friend and The Promise director Todd Shaffer asked me to come into the Glorious Films studios to sing for him and producer Ron Mezey a newly written song for The Promise. At the time I was doing part-time Bible and music consulting for the movie, but by the time I walked out of Ron’s office, I had a new “role” – the voice of the Angel Gabriel! I decided immediately that I must do a serious study of Gabriel and angels in the Bible in order to play the part faithfully to Scripture. 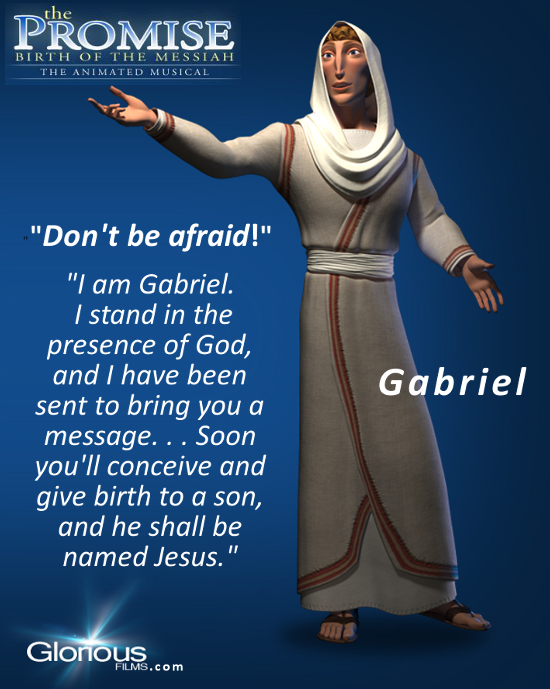 As Bible consultant, I also wanted to make sure the script and animation portrayed Gabriel as accurately as possible. So I dug into angelology (the study of angels) and the following is what I discovered. This original sketch of Gabriel gave way to a more rubust, muscular figure which befits the biblical description of these warrior-messengers of God. When you read the Bible, the first thing you’ll learn about angels is that they are not who pop culture makes them out to be. Rather than child-like cherubs with wings, halo and harp, angels are mighty warriors of God. In fact, the name Gabriel most likely means “Warrior of God.” Often biblical angels brandish fiery swords, and are used by God to defeat earthly and heavenly enemies (they do this seven times in just the first two books of the Bible). Physically speaking, angels appear in human-like form very often; they speak, eat, and walk around like human beings. Unlike popular depictions of angels, they probably they do not have wings (this notion is apparently derived from the fact that angels may descend from and ascend to the heavens (how else, but by wings?). There’s also probably some confusion due to the fact that the other heavenly creatures, cherubim and seraphim, have wings). Quite often, angels are mistaken for mere men in the Bible (see Genesis 19:1ff). At other times, angels have a radiance about them that clearly communicates that these creatures are from the heavens, their countenance having been illuminated by being in the presence of the glory of God (Matthew 28:2-3). The most oft-repeated phrase in the Bible is “fear not” and it is for good reason that angels are often the ones voicing this reassurance — men and women are understandably frightened to death at the site of these mighty, radiant warrior-messengers of God! Early sketch of Gabriel’s announcement to Mary. The Bible records that Gabriel and other angels often say to people, “Do not fear,” apparently because their appearance is startling in some way. As I researched Gabriel, I found that Gabriel is one of only two angels mentioned by name in the Bible (the other is the archangel Michael). This scarcity is astounding when one considers that in extra-biblical Christian, Jewish and Islamic writings there are found some 100 angels by name (Raphael, Uriel, et. all.). Gabriel is mentioned four times in Scripture – twice in the Old Testament and twice in the New Testament, and it is very possible that he is the angelic messenger in other stories where the figure goes unnamed. He first appears to the prophet Daniel (8:16) to explain the vision of the ram and the goat. Later he gives Daniel the prediction of the seventy weeks (Dan. 9:21-27). In Luke’s Gospel – the biblical source for The Promise – it is Gabriel who appears to Zechariah in the temple and announces the birth of John the Baptist (Luke 1:11) and shuts Zechariah’s mouth for nine months for his unbelief even as he opens his wife’s closed womb. Most famously, Gabriel appears to Mary to tell her that she will bear the Messiah. Every time Gabriel brings a message to someone, it is a momentous prophecy concerning the coming Messiah. When Gabriel appears, good news seems to come with him! 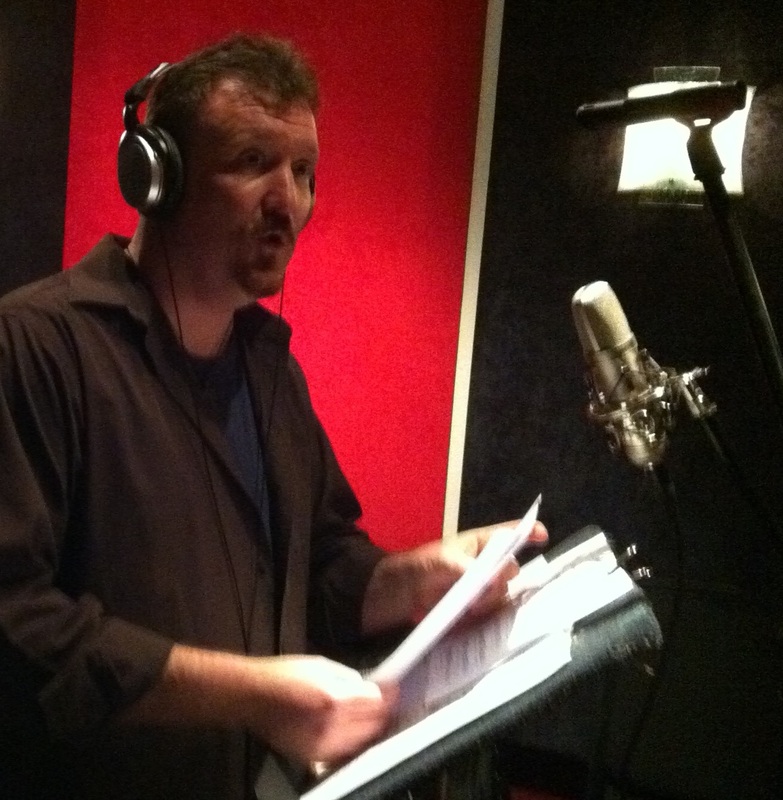 Recording the voice of Gabriel for The Promise at Studio 2500 in Montreal. “Greetings favored one! The Lord is with you. Don’t be afraid Mary, I am Gabriel. And he shall be named, Jesus. He will be great. The Son of the Most High. “Nothing is impossible with God! And he shall be holy – the Son of God. Gabriel stands in the presence of God. He is sent from God and bears His messages. 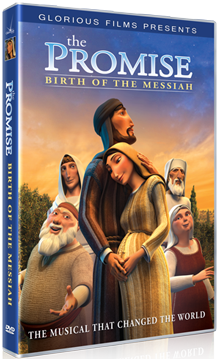 The message he brings to Mary is phenomenal – she, though a virgin, will conceive a son through the power of the Holy Spirit, and that child will be the promised Messiah – the Son of God! Joseph brought his family to Jerusalem to obey the law of God. 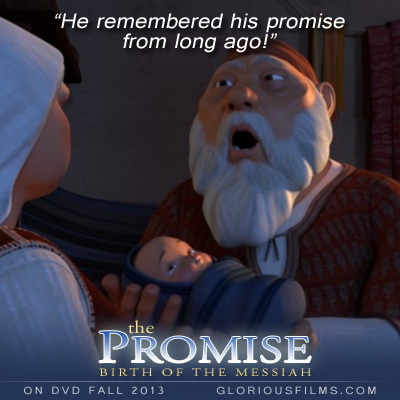 He can sleep soundly knowing that he is in the will of God and his family is safely under his, and the Lord’s, protective watch (click here to watch this scene from The Promise). Most Christians yearn for examples of godly people to pattern their lives after, and a pair of good candidates for the job are Mary and Joseph, the parents of Jesus. When you think about it, Mary and Joseph were the ultimate power couple. They were, after all, the man and woman chosen by God to raise the Messiah! But while women have for millennia looked to Mary as the supreme example of godly womanhood, men have found Joseph to be a much more elusive figure on which to build a picture of biblical manhood. That’s probably because there is not a lot written about Joseph in the New Testament. But when you take a deeper look into the details concerning this tall, dark and handy figure from Nazareth, you find there is a lot more to him than meets the eye. In fact, there are five outstanding traits one can observe in Joseph that any man would do well to model his life after. 1. Joseph was an ‘Average Joe’ Who Lived an Above-Average Life. Laying all the “average Joe” puns aside, Bible scholars tell us that Joseph’s profession and other details of his life indicates he was a simple peasant. Carpentry didn’t pay much in his day, so Joseph had to work hard for a living, and he didn’t have a lot to show for it. Joseph was a regular blue-collar worker, a builder who made a living with his hands (the word we translate “carpenter” in our English Bibles is simply “builder” in Greek, and may refer to woodworkers, stone-workers or other types of craftsmen). 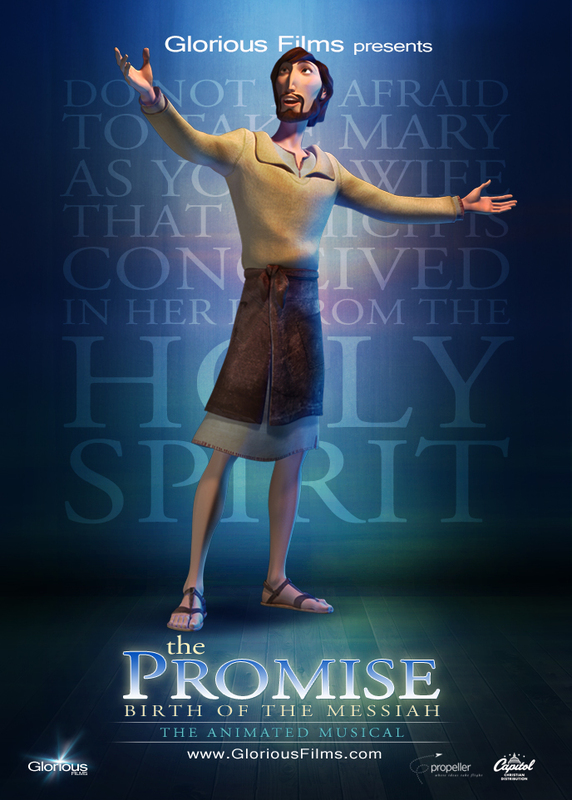 To make Joseph’s character authentic, the script writers for The Promise were careful to write dialogue and song lines for Joseph that were what you’d expect from a construction worker, not a priest or a scholar, and the voice actor for Joseph, Michael Daniel Murphy, was chosen for his earthy, less formally trained vocal style. Far from being a guy that is hard to relate to, Joseph’s earthiness makes him imminently relatable. The message is, if Joseph can be used by God, so can any man. 2. Joseph Exhibited Integrity and Grit in the Face of Adversity. Imagine being faced with all the trials Joseph went through. The seeming betrayal of Mary. Joseph came through it. A Roman census for which he had to make a difficult journey with his very pregnant wife to Bethlehem? No problem, pack the donkey. No place to stay in Bethlehem – and Mary goes into labor? We’ll just have this baby in a barn! When the going got tough, Joseph got going. Of course the real Joseph sweated through these predicaments just like any man, but the point is he powered through them with grace and endurance. He got ‘er done, and gives us a great example of what God can do through any faithful man. When Joseph falls in love with Mary, he is overcome with joy and sings at the top of his lungs of his love for her in The Promise. When you fell in love, weren’t you overcome with exuberance? Did you shout? Sing? Laugh? Real men do all of these things! 3. Joseph Showed True Love. We aren’t privy to Joe and Mary’s love life, but we certainly see a powerful example of genuine love in several respects. First, we are told that Joseph remained sexually abstinent from Mary before marriage. “True love waits” is more than a slogan, it’s the truth. He honored Mary and God by waiting. And don’t imagine for a minute that it was easier to remain pure in Joseph’s day. The Bible gives repeated admonitions to remain sexually pure for one reason – the temptation to do otherwise is great! In addition, the way Joseph handled the shock of Mary’s pregnancy showed much grace. Legally, he could have had her publicly shamed or even stoned for adultery, but he decided not to be vengeful, but to “put her away quietly.” But after the angel Gabriel revealed the divine identity of the child and miraculous nature of Mary’s pregnancy, Joseph wasted no time in taking her as his wife. Surely this man who raised the Messiah taught Jesus the meaning of love through his words and his life. 4. Joseph Protected His Family. Joseph was determined not to let anything happen to his family, even if it meant leaving everyone and everything he ever knew. When he learned that Herod sought to kill Jesus, he outsmarted and outran one of the most brutal kings in history as he fled to Egypt and lived there until Herod died. As a refugee in a foreign land he was away from the security of family, the assurances of the law, and normal employment. All was at stake, and everything was different and uncomfortable. But Joseph was more than willing to do this to protect his family at all costs. Every man should strive to protect his family with this warrior-like protective attitude. 5. Joseph Trusted and Obeyed God. 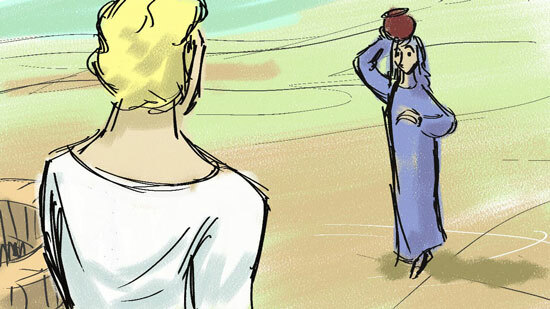 This is probably the most clearly illustrated trait in Joseph’s life, and the key reason he was chosen to parent the Messiah. 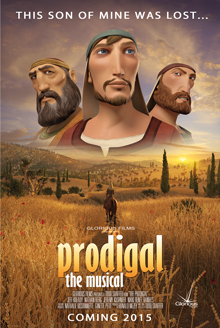 Joseph is called “a righteous man.” You have to be spiritually attuned to God to hear from him directly, and in fact Joseph believed the angel’s message from God via dreams three times: first, concerning Mary’s miracle pregnancy, second concerning Herod’s intent to kill Jesus, and third, when he got the “all-clear” to return to Israel upon Herod’s death. Joseph also showed his devotion to God by following the law to a “T.” He presented Jesus at the temple for circumcision on the eighth day and he brought his family to Jerusalem for the appointed feast days each year. And Joseph clearly taught Jesus the Scriptures well as a child, because by age 12 Jesus was confounding the teachers of the law in the temple with his learned questions (Luke 2:47, 52). This was not only a function of Jesus’ divinity, but also of his discipleship at the feet of his earthly father. Though only a “working-class guy,” Joseph knew and followed God’s Word and taught it to Jesus. All evidence points to him also teaching well his other children. Don’t forget, his son James, Jesus’ brother, later led the first congregation in history – the Jerusalem church! A man loves his family most when he helps them know God, the source of all love, and God’s Word, the source of all wisdom and salvation. Conclusion – It’s a Matter of the Heart. As far as we know, Joseph wasn’t flashy, rich, super-educated, a great public speaker, or a snappy dresser. That God used a humble peasant like Joseph for such a significant purpose shows us that true greatness isn’t about externals, but is always about the heart. Just like his great-great-great ancestor David, the Lord chose to use Joseph because he was “a man after God’s own heart” (1 Sam 13:13-14). Christian men today can model their lives after Joseph’s, and, like him, can enjoy the benefits of friendship with God and partnership in His mission on earth. Poster of Mary the mother of Jesus. 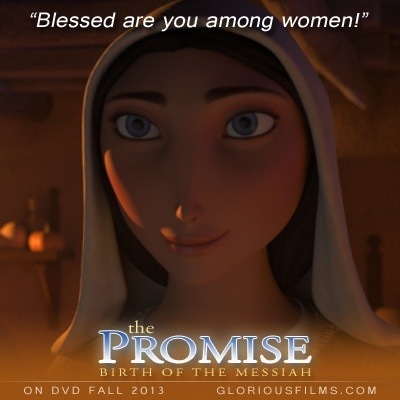 Mary is portrayed in The Promise as a real person with a big faith in a big God. 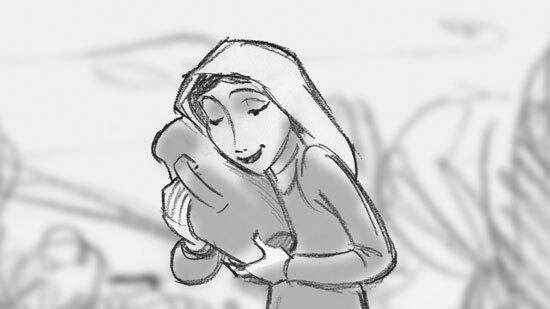 “How do you solve a problem like Maria?” Those words, famously sung in The Sound of Music, could have been the theme song of Glorious Films’ writers and artists as we tackled the difficult task of bringing to life the figure of Mary, the mother of Christ. Portraying a person who is as well-known and beloved as Mary presents loads of challenges. First, we had to find the real Mary of history. To do that we had to get beyond the clichéd version of Mary from popular culture – you know, that super-spiritual saint with the angelic demeanor who lived above the problems and pains experienced by “real” people. So we dug into the Gospels. There, we found little attention given to the personal details of Mary’s life. When you come to the Gospels, you are dealing with a unique form of ancient historical biography that is not the same as modern biographies or historical novels that delve deep into the psyches of each character and describe every facet of their life in minute detail. The Gospels were designed to tell people essential information about the life and work of Jesus the Messiah — not details about his mother’s personality, age or appearance – or what dress she wore at Passover celebrations! Our team had to piece together the bits of information we did find in the Gospels about Mary in order to construct a sketch of her that was as accurate as possible. Scripture tells us that Mary was a righteous peasant girl from the obscure village of Nazareth. We know that she caught the eye of “a righteous man,” Joseph, a poor carpenter, and was pledged to be his wife. History tells us that Jewish brides of the period were often young by today’s standards — with some marrying as early as 13 years old –so Mary was very likely this side of 20 years old when she was engaged to Joseph. Our original sketch of Mary is about as far from the final version (above, right) as our culture’s idea of Mary is to the Mary of Scripture. Mary also showed enormous humility as she accepted the task God had given her, saying, “Let it be as you have said. I am a servant of the Lord.” Mary’s song of praise, the Magnificat (Luke 1:46ff) also showed a serious and careful devotion to the Word of God (listen to our version entitled “I Will Magnify” on the music page). In this song of spontaneous worship, Mary draws on deep theological themes and ancient prophecy to extol the grace and mercy of God for sending the Messiah to save His people. Clearly, Mary knew God and knew much of His Word by heart. It was this kind of faith that served Mary well as she faced the questions – and scorn – of parents, family, and her community, who could hardly be blamed for doubting her story. The hardest thing of all was telling her fiancé Joseph, who must have been crushed when he learned that she was pregnant. Joseph doubted Mary, but God did for Mary what He does for all His servants – He provided for her needs. For Mary’s need, God sent Gabriel to Joseph to confirm her story in a dream. As for her parents, God through Gabriel gave Mary a message that her elderly cousin Elizabeth was miraculously pregnant – something that her parents did not yet know – and the Lord used this to validate her story and vindicate Mary to them. In the end, “the problem” of Mary was not as difficult to solve as it at first seemed it would be. 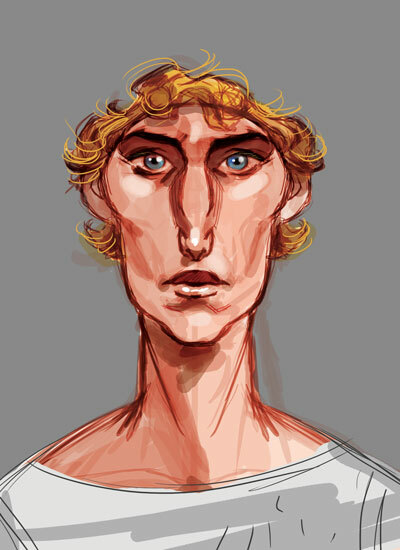 When the Glorious Films team gathered all the facts about Mary, we found a portrait of a real person. We concluded there was no way she was the flat, boring, Victorian-esque prude we’ve seen portrayed in film and print. 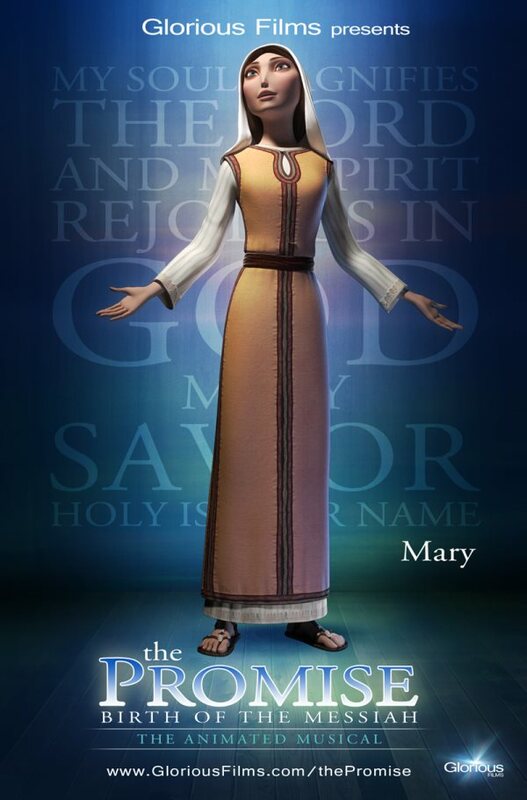 Mary was a real human being spiritually, physically and emotionally. She surely had a vibrant but humble personality to match her infectious faith. Hers was a big faith in an even bigger God that she knew personally. She was just the kind of person who God would assign to raise His Son. 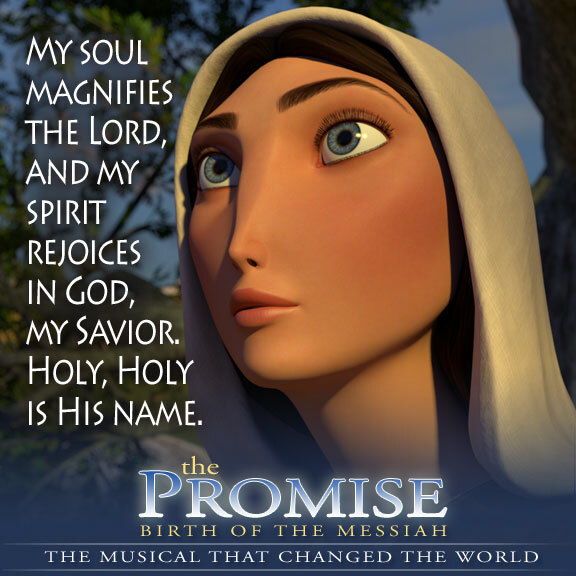 That’s the Mary we developed for The Promise: Birth of the Messiah. I think you’ll enjoy meeting her this Christmas.